On Monday, May 7th, over 150 people gathered at Murray’s Cheese on Bleecker Street to celebrate the launch of Dorothy’s cheese in NYC. 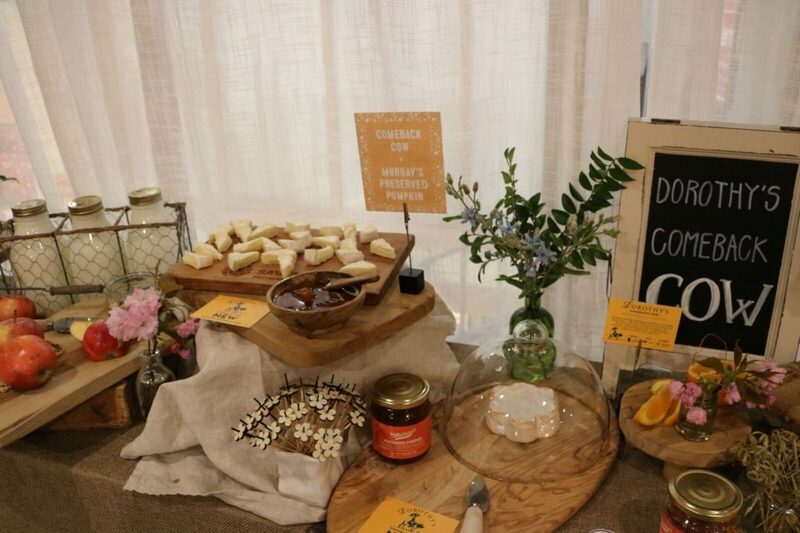 Guests sampled both types of Dorothy’s Cheese, Comeback Cow and Keep Dreaming, both flower-shaped, brie-style cheeses with notes of butter and a creamy texture. In addition to these flower-shaped beauties, other Savencia cheeses were also sampled, including Severac, Montagnard, and Maroilles. The fun didn’t stop there—after nibbling on cheese and sipping wine, guests we also able to build their own flower bouquets at a DIY station, filled with gorgeous seasonal flowers. Every guest left with their tummies full and a gorgeous bouquet to brighten up their home. Love Dorothy’s triple? brie. Had it at Murray;s here in San Diego – @ Ralph’s Mission Center – where Judy Guerro – is the talented manager.